Changing careers means that you'll need a fresh, revamped resume to accompany your job search in a new field. While creating a resume isn't the easiest task, take heart in knowing that much of your experience, even if it's in a completely different industry, will still be relevant. That's because so many skills, especially soft ones, are transferable. If you're shifting from a production manager role at a publishing company to event planning in the wedding industry, for instance, your organizational skills, leadership abilities, and strong Excel and budgeting background are all going to be applicable. 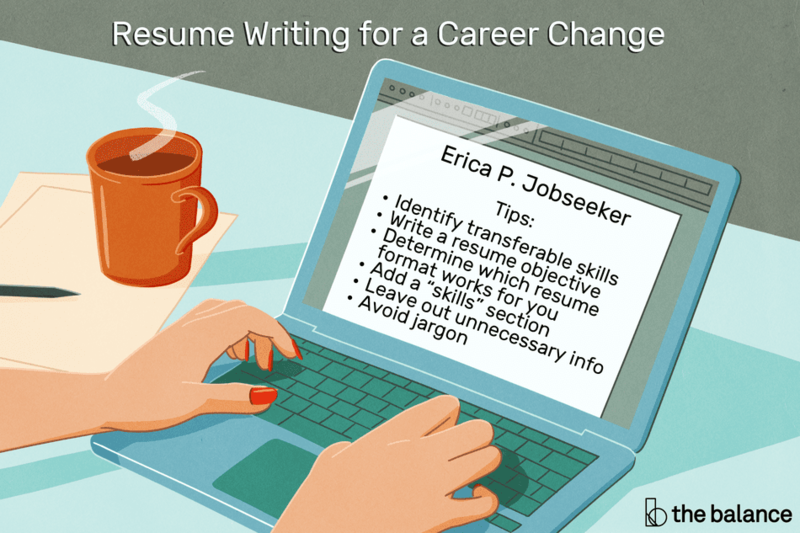 In your career change resume, you have to tell the story of your transferable skills to a hiring manager, explaining how qualifications from your previous career are still applicable and relevant. Whether it's because of a shift in the industry or a shift in your interests, there are lots of reasons to make a mid-career transition. Here's how to get started developing your new resume. Start by getting to know your new industry. Read job descriptions and industry news to gain a sense of the skills that employers require. Print out your current resume with your job history to date, and write a list of all the skills you've gained and used throughout your career. Some of these may be listed on your resume directly, but others may not. Then, list out the skills commonly required in your new industry and look for matches. Think creatively: Say you're moving from sales to teaching. What are the things these roles have in common? Well, both jobs require the ability to hold the attention of the room, give a strong presentation, and convey potentially complex knowledge using language that is easy to understand and remember. And don't forget that you can include non-professional experience on your resume, too. Are you on your condo's board? Do you organize bake sales for the Parent-Teacher Association? Volunteer work, and potentially even hobbies (your Etsy store, your weekly style post on Instagram), can all be mined for evidence of your skills and experience. Just be careful not to overreach: A following of 300 people on Twitter does not make you a social media expert. But, it is reasonable to say that you have social media knowledge, have built a Twitter following, and engaged with industry thought leaders. In your objective, connect the dots for hiring managers. You can use this space to make it clear how your former career has provided you with the skills you need in your new field, and for this job in particular. A chronological resume, which lists experience from most recent to eldest, may be the most commonly used resume format, but that doesn't mean it's the only option out there. A functional resume is often the best choice for someone switching careers since it puts the focus squarely on your skills and experience (rather than where you worked, and when). This type of resume helps highlights the most relevant parts of your work. If you are transitioning from sales to teaching, to continue our example from above, a functional resume allows you to showcase your relevant presentation abilities, instead of listing out sales jobs, which wouldn't feel meaningful to a school district. A combination resume, which mixes the functional format with the chronological one, is also a good option if you're shifting careers. When hiring managers scan through your resume, they might not see familiar job titles or responsibilities from their industry. So whichever resume format you choose, use the skills section to highlight that you have the soft and hard skills required for the job that you're applying for. Your resume does not have to exhaustively list every position held, a task completed, and programs used. Think of your resume as a greatest hits album: Include only the highlights that will help your resume seem relevant to hiring managers in your new field. This can be particularly important if you're switching job levels, as well as shifting careers. New career industry, new jargon! When you work in a field for a while, jargon becomes second nature. If you're in publishing, the CMS is the Chicago Manual of Style; if you work online, it's your Content Management System; and if you're in healthcare, it's the Centers for Medicare & Medicaid Services. The point is that while jargon can help you seem like an insider in your original field, it can confuse and alienate the hiring manager in your new field. Explain job titles, programs, and job-related tasks and achievements in clear language that anyone can understand. Better yet, translate those skills and responsibilities into your new field's insider-language and shorthand. This is an example of a resume for when changing a career. Download the career change resume template (compatible with Google Docs and Word Online) or see below for more examples. Charismatic and engaging marketing professional leveraging superb “real world” knowledge of global markets to excel as an Adjunct Instructor of Marketing. Superb communications and presentation talents, underscored by 10 years’ experience in technology sales team training, marketing management, market data analysis, marketing strategy, operations management, financial management, and strategic management. Successfully directed global marketing operations for a fledgling technology company, driving an 85% surge in international sales growth within one year of hiring. As Market Analyst, guided international technology corporation to penetrate untapped markets in China and western Europe. Developed highly effective online sales training modules adopted across corporation sales offices. Trained more than 100 sales managers in technology sales strategies across the U.S. and in Canada and western Europe. Dynamic communications skills and interpersonal strengths, easily motivating success through multimedia presentations, discussions, and one-on-one advising. Frequent contributor to trade publications including Tech Marketing Today and Global Marketing News.